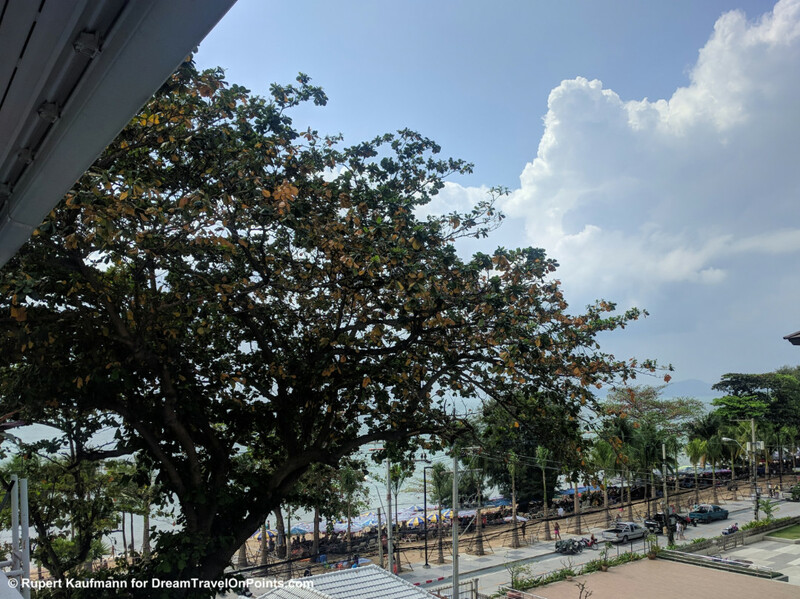 Updated 2019: Jomtien is my favorite beach in the Pattaya area and if you are looking for a budget hotel right on the beach, the bbhouse is a great option. You get a modern and clean room, with a/c, fridge and a good shower with friendly service just steps from the beach and lots of restaurants, bars and shops. There are few frills, but in this price category, bbhouse is a good choice. Location: bbhouse has a million-dollar location, right on Dongtan Beach in Jomtien. It’s steps to the beach and a short walk to countless bars, restaurants and shops in Jomtien. You’ll also be on the “Bath Bus” line along the beach and all the way into Pattaya, making it easy to get around, while being far enough from the hubub and the noise! 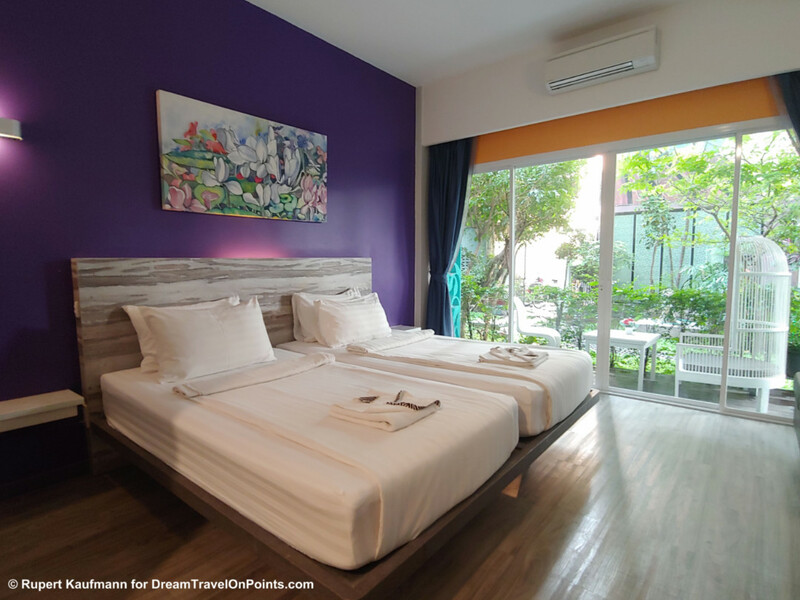 It’s a 15 minute walk to the Jomtien Bus terminal, which gives you ease access to Bangkok’s Suvarnabuhmi Airport and the city, making it very convenient for a quick getaway from Bangkok! Service: The staff at this guest house is friendly. Check-in and checkout was quick and easy. 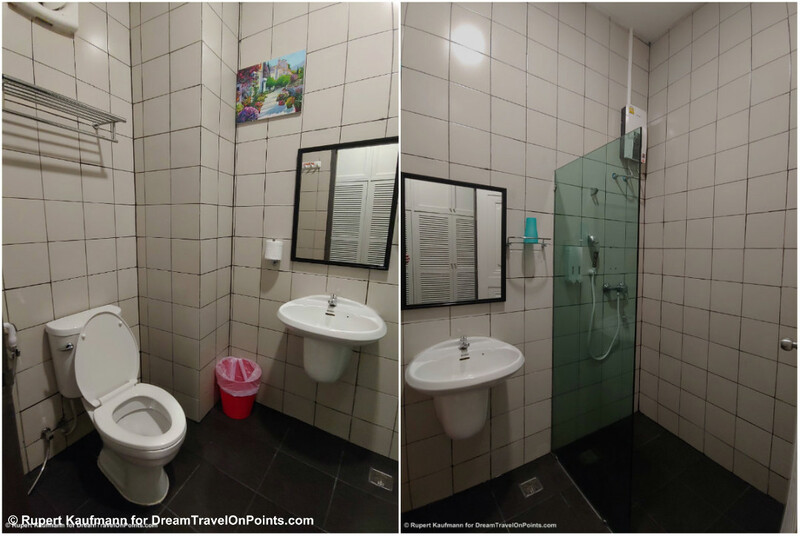 They are quite organized (something worth pointing out for guesthouses in Thailand! ), had my reservation and key ready on arrival. Housekeeping was just as friendly and quick, cleaning my room each day, taking out trash, replacing towels & water and doing a light cleaning. Room: I booked a “Sky Deluxe” Room, which is located on the rooftop in the new building in the back, with a partial ocean view, making it very quiet. There is no elevator, so you’ll have to earn the view by climbing stairs. It’s recently renovated and has a modern feel to it, with wood-look tile floors, a wooden headboard and a purple’ish accent wall. The blackout blinds also have a nice decor – this is about as stylish as I’ve found guest houses in this price range anywhere. The queensize bed was comfortable (not as hard as many beds in Thailand) with simple, clean sheets and two pillows. There is a narrow table with chair against the wall, big enough to work in a pinch. You’ll get a mini fridge, TV and hairdryer, all in good working condition, but no safe and no coffee/tea maker. The air conditioner was working well. You have a luggage bench and open closet for your stuff. 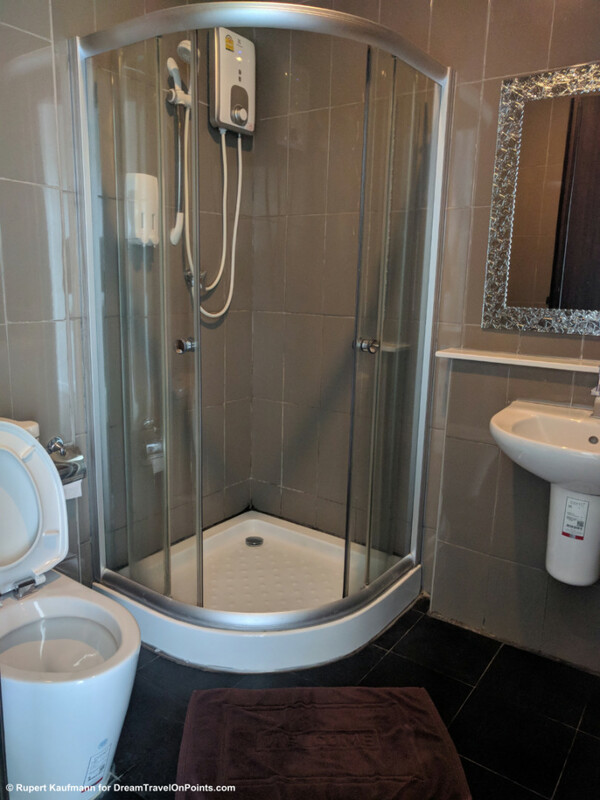 The bathroom is small, but new and clean and has a glass-enclosed shower. For a little more money, you can book their highest category room, a Pool Villa. They are set around a long, narrow pool, are slightly larger with a sofa by the window and off similar design. If you don’t want to climb stairs and have a slightly more luxurious experience, I’d recommend these rooms – and I’d book it myself the next time, if available. On my return visit, I stayed in a Deluxe Terrace Room, one category and a few bucks below the Sky Deluxe rooms. It’s a larger room with a king-size bed that was firmer than in the other room, but comfortable enough. As the room suggests, you have a small patio with a table and two chairs. My room was on the ground floor with a garden view. The hardwood floors and decor were similar to the other rooms. You also get a small sofa, a larger desk and double wardrobe with plenty of space for even the longest stay. This room works best if you want some extra space. The Pool Villas are most popular and worth the slightly higher price – so be quick, they sell out and i haven’t been able to find availability during high season! Restaurant & Amenities: The pool is available to all guests, although there are few loungers to hang out. It’s great for a quick dip when you come back from the beach though! There is no restaurant at the bbhouse, but you can get drinks from the front desk. There are two good restaurants on either side that serve good and inexpensive breakfast, very convenient. 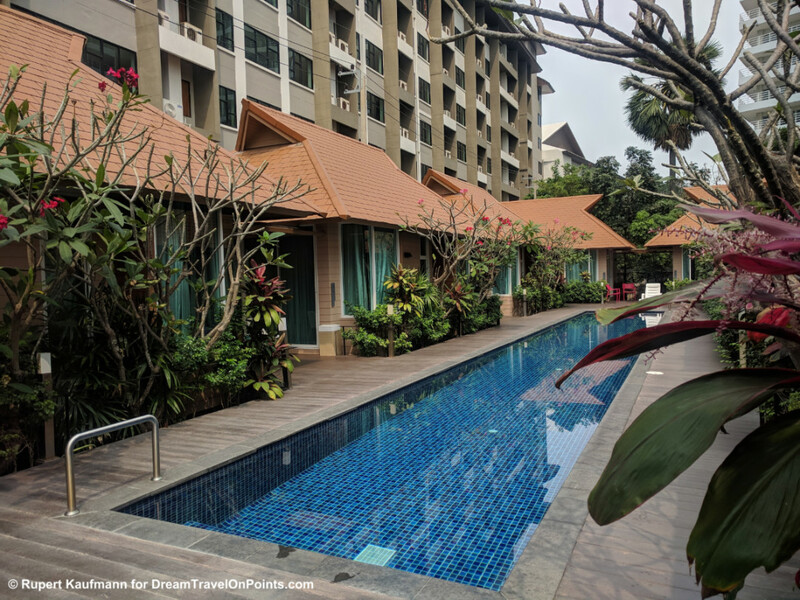 Value & Rewards: I booked the rooms for two stays and a total of four nights for $30/night – that’s great value for a beachfront location in Jomtien – you’ll either pay more beachfront or have to stay further away from the beach for the same price. I booked through Agoda and earned a giftcard worth 4% of the stay. You can check current prices at bbhouse pattaya here! 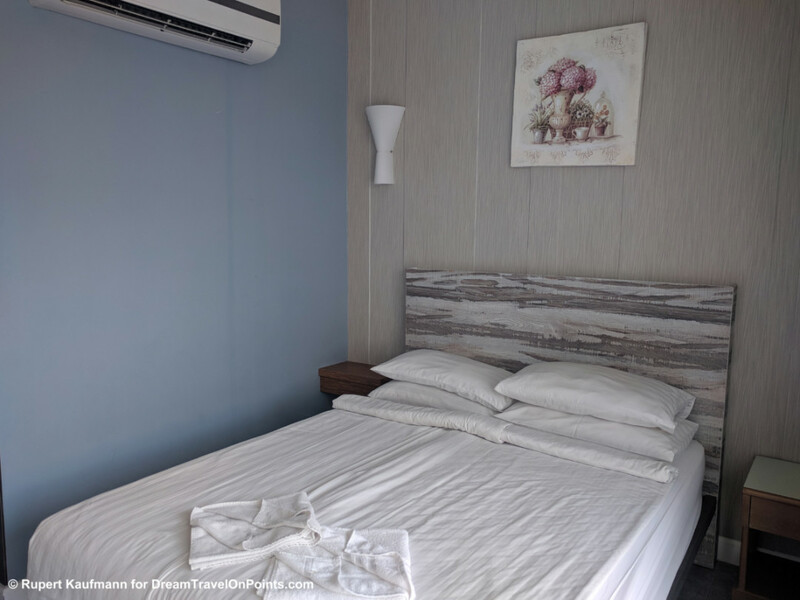 Bottomline: At a price of only $30/night for a last-minute booking in high-season, you get a modern, clean room in the perfect beach location of Jomtien. 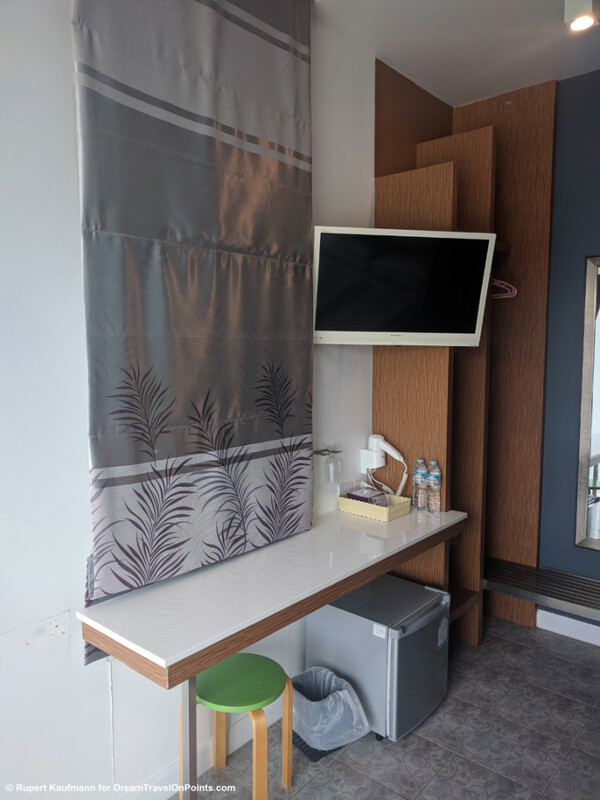 There are no frills and I’d wish it had a coffee maker and a safe, but if you are looking for a budget option in Jomtien, this is a great choice! 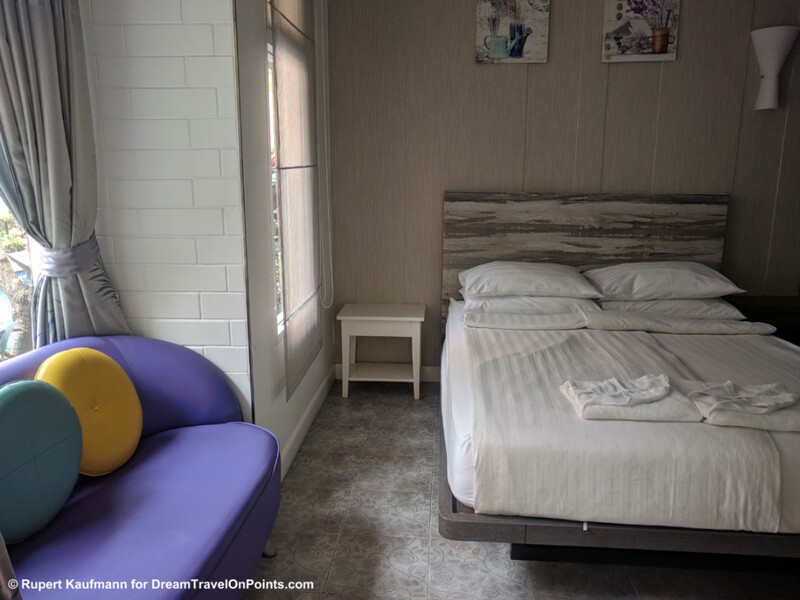 Make sure to pick bbhouse Pattaya on Dongtan Beach – there are a few other guesthouses with the same name around Pattaya, so don’t end up in the wrong one!